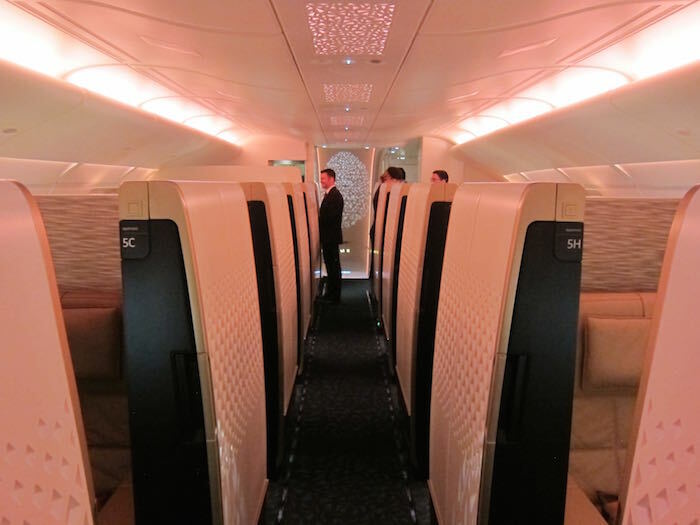 On Saturday I took Etihad Airways’ inaugural A380 flight between Abu Dhabi and London. While Etihad is only the 12th airline to take delivery of the A380, they’ve innovated in ways that we haven’t really seen from other carriers. The highlight of their new A380s are The Residence and First Apartments. The Residence features a three room suite and butler service, and is unattainable for most of us. I doubt miles will ever easily be redeemable for it, and at $20,000-40,000 for a one-way ticket, it’s not something I think most of us will be springing for anytime soon. But as far as I’m concerned the First Apartment was the real show stopper, and where we saw the most innovation. 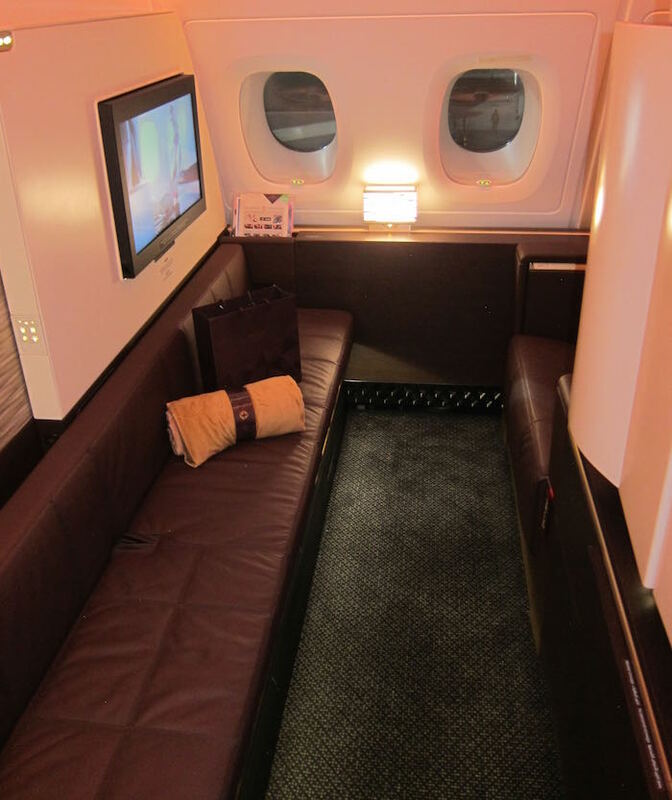 Etihad has really taken first class to a whole new level by creating a suite that’s so big that you can actually walk around in it when the door is closed. It’s simply unbelievable. Etihad and American have a partnership, which means you can redeem American Airlines miles for travel on Etihad. American doesn’t levy fuel surcharges on Etihad award tickets, so the cash co-pay component would just be for taxes. Etihad A380 First Apartment award availability between Abu Dhabi and London is fairly readily available through the end of the schedule. 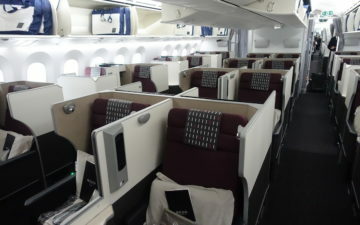 Many flights even have two first class award seats. You can search award availability on Etihad’s website, and if there’s “GuestSeat” space then you can also book it with American miles. Here’s a primer on searching Etihad award space. Best of all, redeeming American AAdvantage miles for travel on Etihad between Europe and the Middle East is a heck of a deal, at just 62,500 AAdvantage miles one-way in first class. That allows connections within Europe or the Middle East as well, if you’d like. If you’d like to redeem American miles for travel between the US and Middle East in first class (which allows you to route via Europe), that will set you back 115,500 miles one-way. Personally I’m a fan of booking that Europe to Middle East award separately, since I tend to think it’s a better value and you can have a stopover in Europe that way. For what it’s worth, Etihad’s second A380 route will be between Abu Dhabi and Sydney, and I’ve yet to find saver A380 first class award space on it. While the Citi cards often have lucrative welcome bonuses, the best cards for every day spending are hands-down the Marriott Bonvoy American Express Card and Marriott Bonvoy Business™ American Express® Card. Marriott Bonvoy are one of the main flexible-points currencies, and one of the few variations of miles or points that I consistently value around 2 cents each. That’s because in addition to all the awesome ways to use Marriott Bonvoy points, you also receive a 5,000 point bonus when transferring points to their airline partners, provided you’re transferring in 60,000 point increments. It’s also worth noting this is a standard benefit of the Marriott Bonvoy program, not of the credit cards specifically. American often offers a bonus on purchasing miles. This can be a great way to top off your account, or even purchase the full number of miles needed for an award. One of the awesome things about our hobby is that there’s almost no airline product in the sky for which you can’t redeem miles. I’ve redeemed miles for some of the most amazing onboard experiences, from an onboard shower on Emirates, to a double bed on Singapore Airlines, to a Porsche tarmac transfer on Lufthansa, to an hour-long full body massage courtesy of Thai Airways, etc. When airlines introduce new products they often try to keep them exclusive by limiting award availability, so it’s great to see that Etihad Airways has opened up availability pretty quickly. 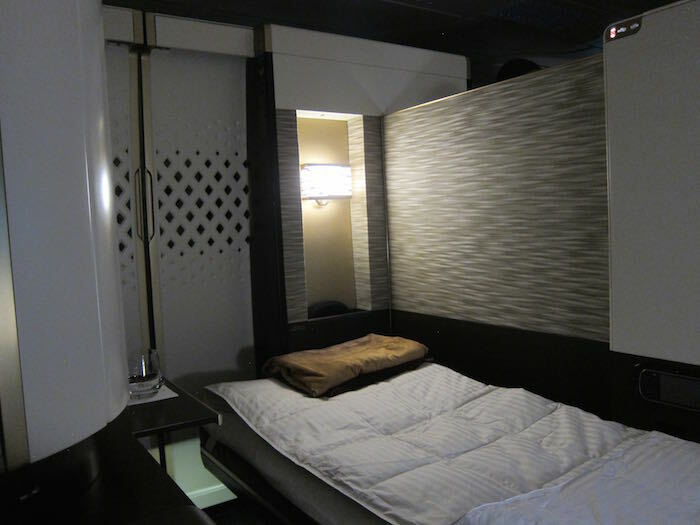 Have you redeemed miles for Etihad’s First Apartment yet? Why Does American Bother With International First Class? Yesterday I booked DUB-LHR-AUH-BOM trip in EY A380 F and EY 789 F for 40000 AA miles and about £70 (US$100). Simply unbelievable value!!!! Hi Ben. Did you happen to quickly check the new business cabin on the EY 380? If so, any brief thoughts? With a family of 3, we often have to alternate Biz and F (or even Y!!!) I know it’s a tough life. Award space on the EY apartment is my new goal in life though 😉 Congrats on being the first review and for ponying up the cash to do so. KUDOS. Is it possible to fly to Maldives? From Europe to Africa, are award tickets allowed to connect via Middle East or no? I know they’re allowed from US (only on Qatar if over-water carrier as well), but was looking for clarification on the routing rules for European origination awards. Surprised I don’t know this. How do you do it so that you get an Etihad routing? But it’s a great deal– 20000 points one way economy, but only 30000 and 40000 for Business and First respectively. @Adi-T, read the article buddy! You have to search on Etihad’s website for “Guest First” availability and then you would have to contact AA via phone to book. You have to call AA to book this particular partner award. You cannot book it on aa.com. How can I book a connection in Europe on an AA award? Does it possible to use an BA flight as a connection or is there no published fare? @ ocm — Yes, you can book Etihad and BA on a single American award, though you’d have to book by phone and there does need to be a published fare. @ Adi-T — You have to use the Etihad website to search space and then call to book. @ Graham — You can on Qatar, but not on other partners as far as I know. @ Mangoceviche — Yes, you could do LHR-AUH-MLE. @ Andy — It was a nighttime flight so didn’t get an amazing view of business, though it did look really good. Definitely one of the best hard products out there, in my opinion. @ TEX277 — Amazing value indeed. Enjoy! Ben – Will MLE-AUH-LHR-JTR(Santorini) work? I already booked my one way to MLE, but I’m not sure if MPM will let my go from the maldives to Santorini…it’s sort of going backwards once you get to london. Joey, I hope Etihad prevents anyone who isn’t in first class from hanging out in a first class apartment. (I think Ben confirmed that in a comment to his inaugural flight article.) Imagine if 9 people from business hang out in the 9 apartments, all using the first class lavatories, all talking, all moving between the cabins. It would totally downgrade the luxury of the first class cabin. I’d hope that if it was a family member they would allow them in F. I’ve seen plenty of instances where J and Y pax join F pax for meals in the F cabin, use F lavs and so forth. Generally hasn’t been too much of a problem. Of course the space available in these suites definitely changes the potential. Pavel, which airlines have you been on that allowed Y pax to have meals with friends/relatives in F? I’m not generally one who freaks out over the occasional family member visiting F pax, but access to F food seems a bit surprising. Lucky, would you I be able to mix classes on a single award? LHR – AUH in F and AUH – MLE in J all for 40,000 miles? I’m having to check each leg separately on Ethiad Guest and it shows up as available with a layover. @ JC — That’s more than 25% over the MPM, so wouldn’t be allowed. Sorry. Thanks for such an inspiring blog, Lucky! I finally pulled the trigger and booked this amazing “seat” for my first First experience! @ Travelista — So happy to hear! Enjoy! @ rs — The Colombo fare isn’t using any throwaway ticketing. No rules are violated when you fly all segments. Lucky, what do you think the best way of getting from Amex reward points to booking Etihad is? 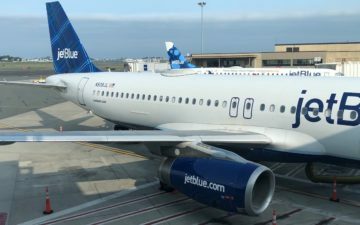 I’ve got time on my side, so would you think points.com to turn amex rewards -> US airways points? Or amex rewards -> ANA? Alitalia? @ Alex — ANA is definitely your best bet. US Airways doesn’t partner with Etihad, so you’d have to wait till they merge with AAdvantage. @ Lucky, would you be able to mix classes on a single award? 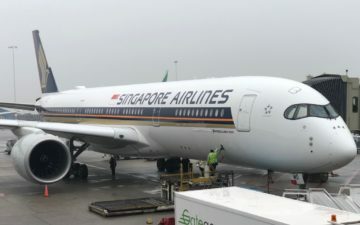 LHR – AUH in F and AUH – MLE in J all for 40,000 AA miles? I’m having to check each leg separately on Ethiad Guest and it shows up as available with a layover. @ Abby — Yes, you sure can. Can I fly Geneva – Abu Dhabi – Maldives on the 40’000 AA miles award or is the stop in the middle east too much? Also, do you know how long in advance do the First Class awards on Etihad open up? @ Philippe — Yep, you sure can. They open space about 11 months out. Should I book an award on available flights (not a380) and change if it opens up? Are changes free with AA miles? @ Philippe — There’s no fee as long as the origin and destination remains the same, so if you have dates you have to travel, that’s what I’d do. 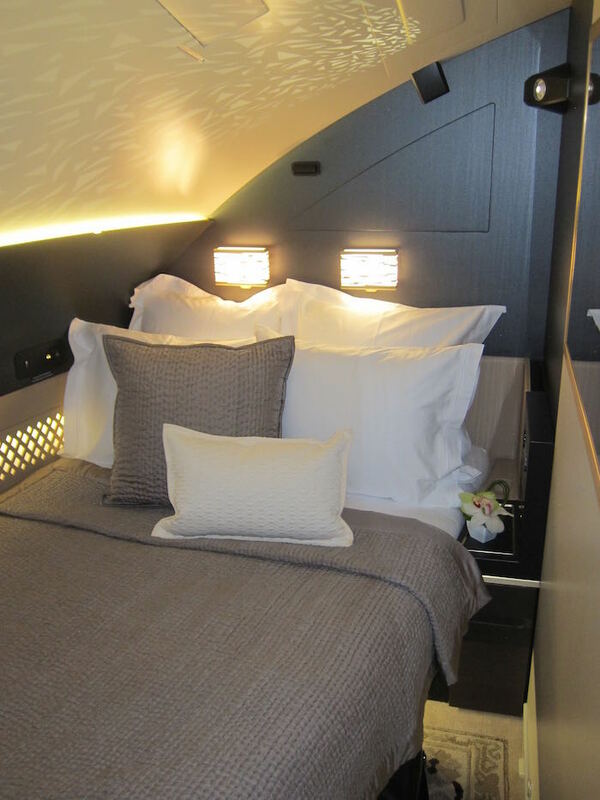 Good news, Etihad has opened up award seats on the A380 in October and November. Yes I saw that and grabbed 2 seats. Yay, Philippe! It’s a truly amazing deal. Lucky, I’m seeing F space on the A380 in July when I search DEL-LHR, but when I search for just the AUH-LHR leg, it’s coming up sold out. Same flight, same day – there’s availability if connecting from DEL, but none if originating in AUH. Any rationale to this? Am I likely to have trouble booking this via AA? @ James — Some airlines do use married segment logic when it comes to awards, though in my experience Etihad doesn’t, so that is odd. Unfortunately I’m guessing the individual segment wouldn’t be bookable in this case. There’s the current EK 103 02:40 departure from AUH currently operated with the Jet Airways aircraft, and then EK 101 with the 10:45 departure. I’m guessing it’ll be 101, but would appreciate views. @ H — I’d say EY101 with near certainty. Booked on Apartments later this year. It seems I can’t choose the meal or seats online? Have you found a way to do this? Thanks! @ James — You have to call Etihad to select seats or order special meals. Know where I can access the pre-order menu? @ James — It’s just for dietary restrictions, they don’t have a “Book the Cook” menu or anything. When you run the search on EY website it’s stated that you need hundreds thousand miles to get an award ticket. But with AA you just need 40k miles each way to fly in F? Is it working also with other ff programs?